AN AUSSIE accent was a key tool used to relax and reassure the 12 Thai boys in the incredible mission to save them. 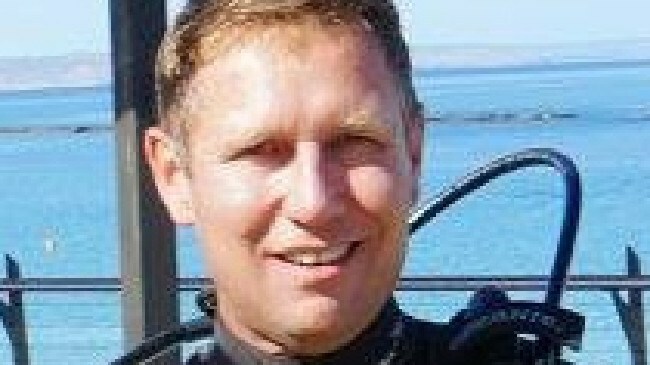 One of the English divers who helped in the mammoth operation, John Volanthen, told the British press that heroic Aussie underwater cave explorer Dr Richard Harris was a crucial part in the rescue. And, the 47-year-old IT consultant from Bristol told The Times that the Adelaide anaesthetist's Aussie accent helped keep the boys at ease during the tense mission. "Dr Harris, he's very good, he's got a very good bedside manner, he's got a very bouncy Australian accent and they seemed to find that quite relaxing and reassuring," he told the newspaper. 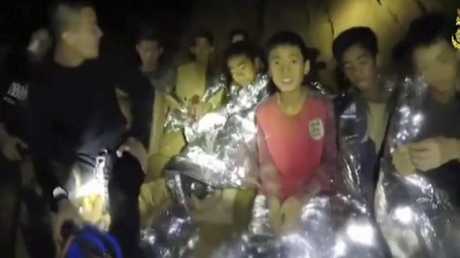 The South Australian doctor, who is part of a small team of expert Aussie cave divers who have reached an almost legendary status in their field, was the last person to leave the Tham Luang caves after the Wild Boars soccer team was rescued. 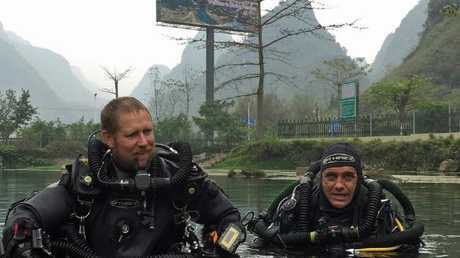 The pair were among 20 Australians involved in the Thai-led rescue effort. 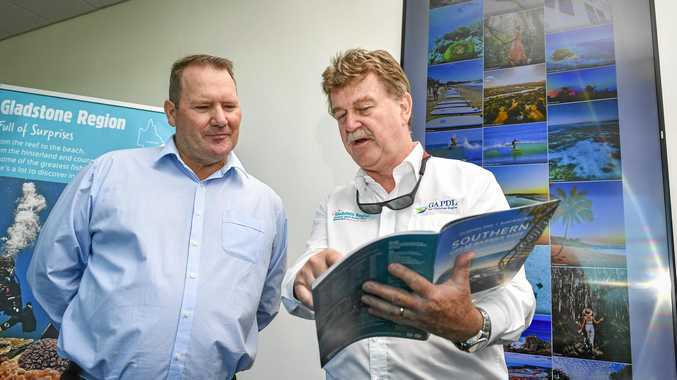 They were about to go on a holiday to the Nullarbor together when they got the call up for the perilous mission in northern Thailand on Thursday last week. Rescuers from around the world are heading home today, as doctors said the boys they saved have so far not shown any significant ill effects from their ordeal. The Australian team also included six Australian Federal Police divers, a navy clearance diver and members of the Department of Foreign Affairs and Trade Crisis Rescue Team. Dr Harris and Dr Challen gave a shout-out to the dozens of experts from around the world who helped in the evacuation which resulted in the death of one diver. 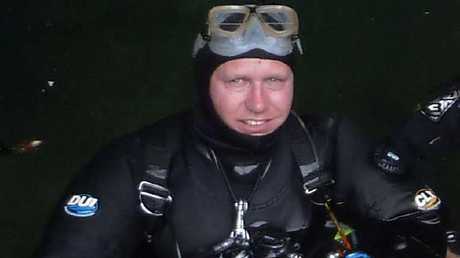 "Our thanks and greatest admiration go [to] the British lead divers, and support divers along the route in and out of the cave system from the EU, US, China and Australia, as well as the vast number of participants from military and civilian organisations in various support roles," they said in their statement yesterday. "Additionally, we were only a small part of an Australian contingent comprising personnel from DFAT, AFP, and ADF who performed valuable roles. "We particularly would like to thank the players and their coach for placing their trust in us. We wish them a speedy recovery." They also sent their condolences to Dr Harris, whose father passed away as the mission came to a dramatic conclusion earlier this week. "Our condolences to Dr Richard Harris. We wish you the best for this very tough time." the post said. "We never thank you enough for what you've done for the kids, their families and Thailand. Thank you, Richard and thank you, Australia."